The anticipated upgrade to our Envision product line. As the upgrade to our highly successful Envision Series, the 5 Series represents some of our best features and efficiencies. The 500A11 provides forced air heating, air conditioning, and even generates a portion of your home’s hot water – all from a single unit that offers comfort and savings far greater than any ordinary system. Available in many sizes and configurations, 5 Series products utilize environmentally friendly R-410A refrigerant. 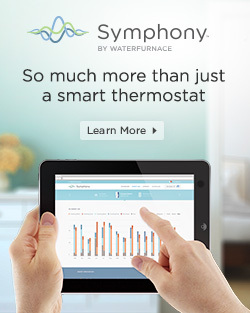 Its advanced components include the next generation of WaterFurnace controls – Aurora. Aurora controls are among the first in the industry to provide two-way communication between components for the ultimate in performance and troubleshooting capabilities.